JOHN FOWLER (c. 1787-before 1840) was the second son born to Ephraim Fowler. John was mentioned in very few documents, and as a result, he seems to be somewhat overlooked in genealogy research. To ditto paid JOHN FOWLER amt of $25 on his amount for work of a ???? The absence of additional children after the 1830 birth of son John leads me to believe that John Fowler (the father) died shortly after the 1830 census was recorded. I discovered documents in the Union County Courthouse and the SC State Archives regarding the final settlement of John’s father, Ephraim Fowler. One of these documents from 1849 led me to the discovery of the name of John’s oldest son — Washington Fowler. I was able to locate Washington in the 1840 Union County census. He was listed as age 20-29 along with a female 15-19, and a female <5. Washington seems to have vanished into thin air after 1840. I have not been able to locate the remaining family members in 1840. In 1850, John’s widow Nancy lived with her son Thomas Fowler and his wife, Sarah Elendar Hames. John and Nancy’s daughter Rebecca (who later married Felix Burgess) and their son John also lived in the household. There was an 8 year old child named Mary. My theory is that Mary was the daughter of Washington Fowler, oldest son of John and Nancy, or Mary may have been the daughter of Rebecca and perhaps born out of wedlock. In 1850, the Thomas Fowler household was positioned in the middle of the Ephraim Fowler clan: sister Charity Fowler and her husband (as well as her first cousin) William J. Fowler, were living nearby. 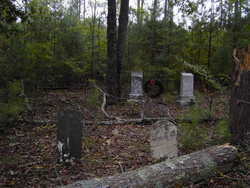 Other related families living as neighbors were as follows: Julia Fowler Sprouse (daughter of Ephraim’s son Ellis); Sarah Mabry Fowler (widow of Ephraim’s son Ellis) and their son Henry; Stephen Fowler (son of Ephraim); Lemuel, Zachariah, Mary and Susan Fowler (grown children of Ephraim’s son Jasper). In 1860, Thomas Fowler and his wife Sarah Elendar Hames lived in the Kelton area of Union County, SC. They had a son, Gillman, age 6, and a daughter Mary, age 4. Davidson, Iredell County, North Carolina. About 80 miles from Kelton, Union County, South Carolina. Finding the Thomas Fowler household in Iredell County, I had to wonder what event inspired the Thomas Fowler family to pack up and move far away from family and friends in the years between 1860 and 1870? I have read the history of the early settlers who, in 1749, began moving into what later became Iredell County. Although I have learned that it is a beautiful section of the state of North Carolina, I doubt lovely landscapes alone were enough to motivate a family to relocate from the safe surroundings of an extended family and familiarity to a land unknown. I have searched the 1870 census of Davidson, Iredell County to see if I could find another family with whom Thomas Fowler or his wife Sarah Elendar Hames could have been connected. I found no names in the census that would give me any resolution or answer to my question. When one takes into consideration that the years between 1860 and 1870 were filled with a long civil war, and the starvation, devastation, and reconstruction that followed, it is even more difficult to understand a move across counties and a state line, leaving family behind. Thomas Fowler and wife Sarah Elendar Hames were living with son Gillman, daughters (Mary) Susannah, (Lou) Ella, and Anna. As long as the journey was from Union County to Iredell County, the journey the Thomas Fowler family made between 1870 and 1880 was even longer. They made the move to Liberty township in Pickens County, SC during the decade, a distance of 135 miles traveling on the roads of today. The family headed by Thomas included Sarah Elendar Hames, and daughters Mary Susannah and Anna. Son Gillman had married Susan Wilson; daughter Lou Ella had married Jasper Rufus Oates.